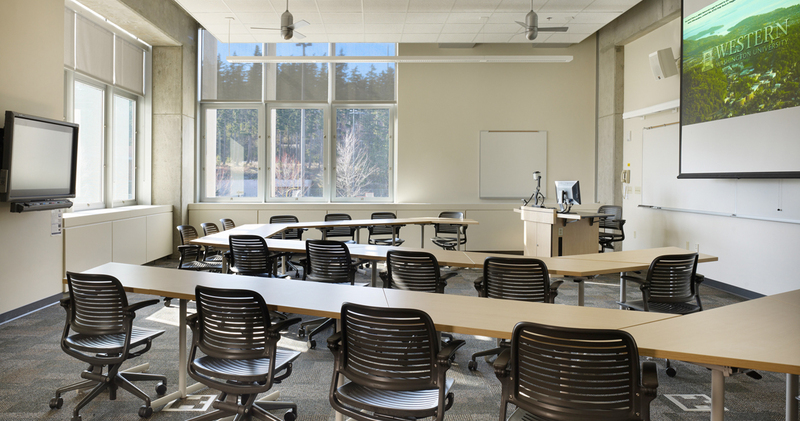 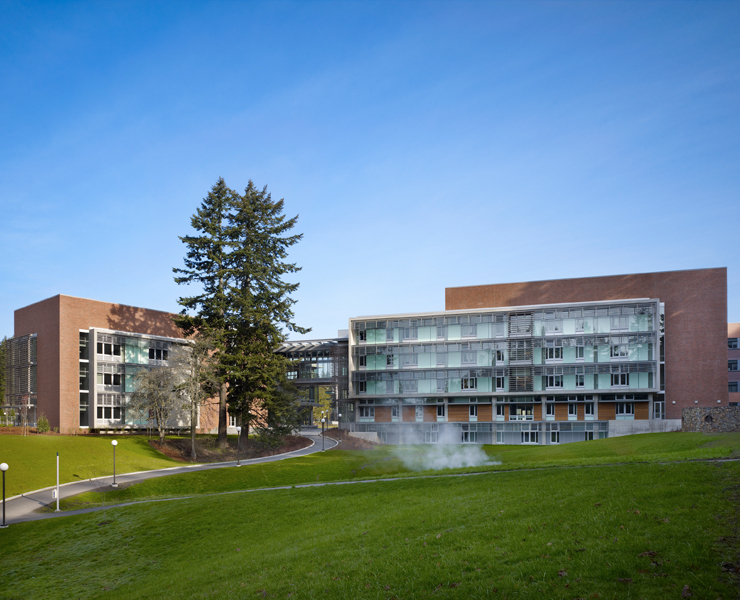 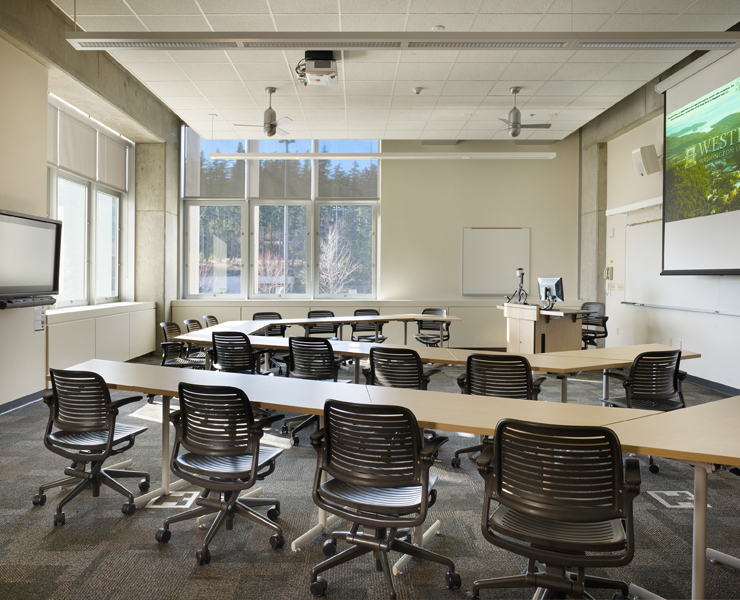 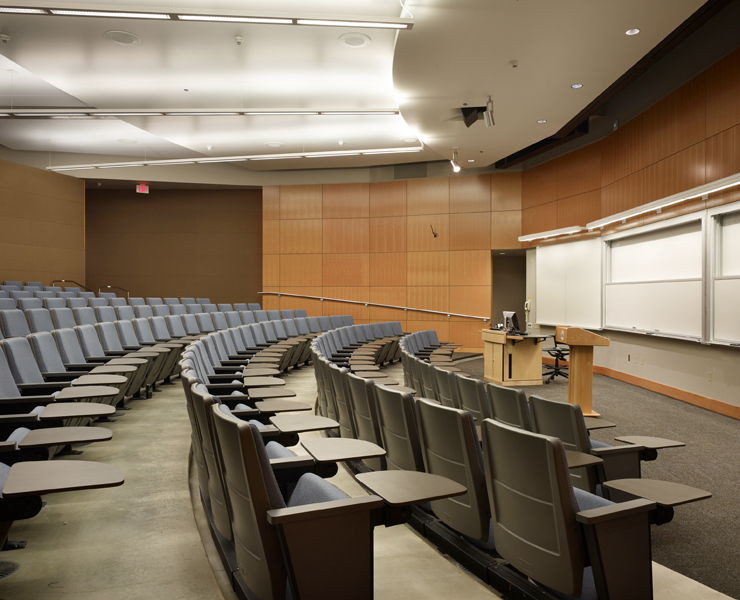 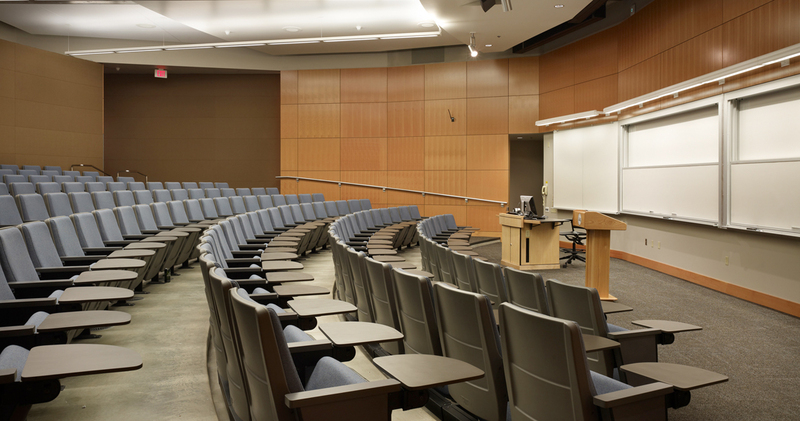 The Western Washington University Academic Instructional Center is home to the graduate schools of Communication Sciences and Disorders (CSD) and Psychology. 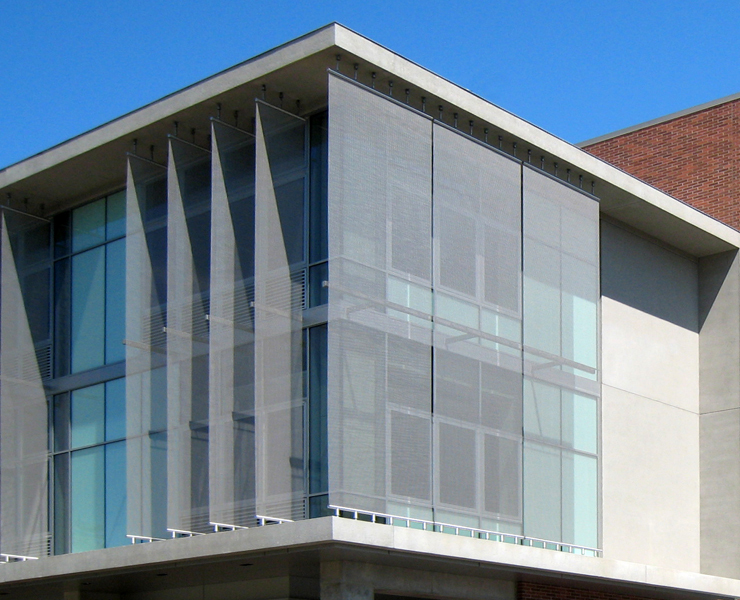 In addition to providing much needed classroom space, computer labs, and 750 classroom seats at the south end of the campus, the AIC includes space for the public clinics run by the SCD and Psychology Departments. 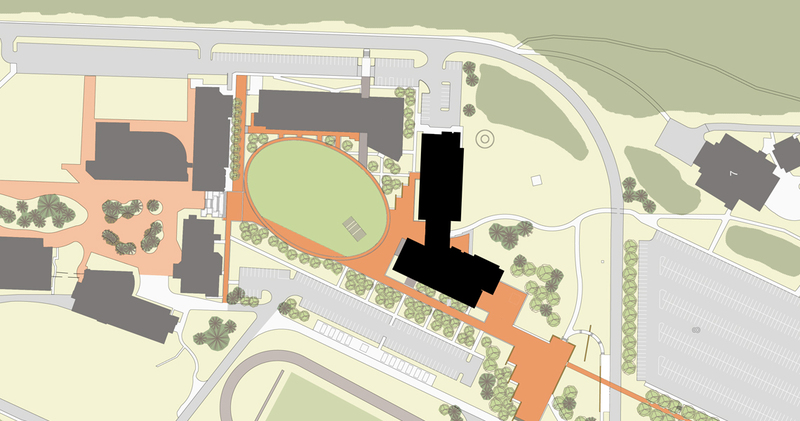 Opsis completed the South District Master Plan that developed the framework for a new major quad, linking the new Wade King Student Recreation Center, the AIC and a new multi-modal transportation hub. 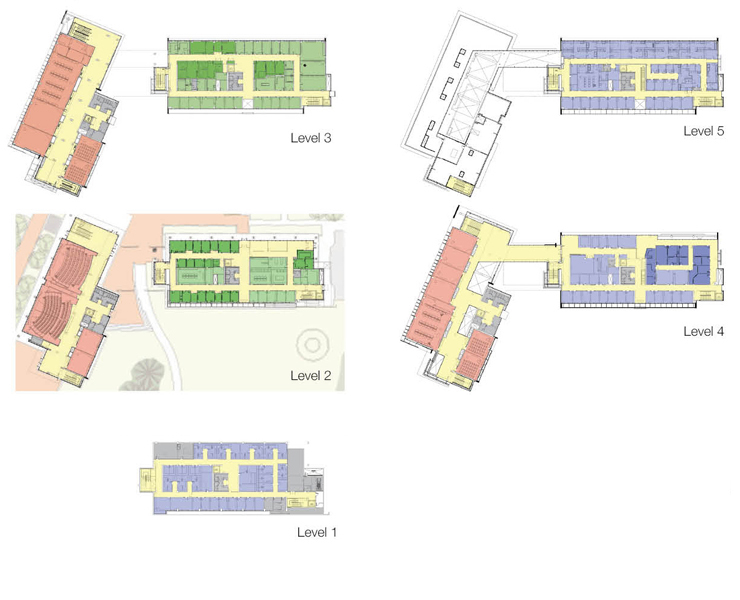 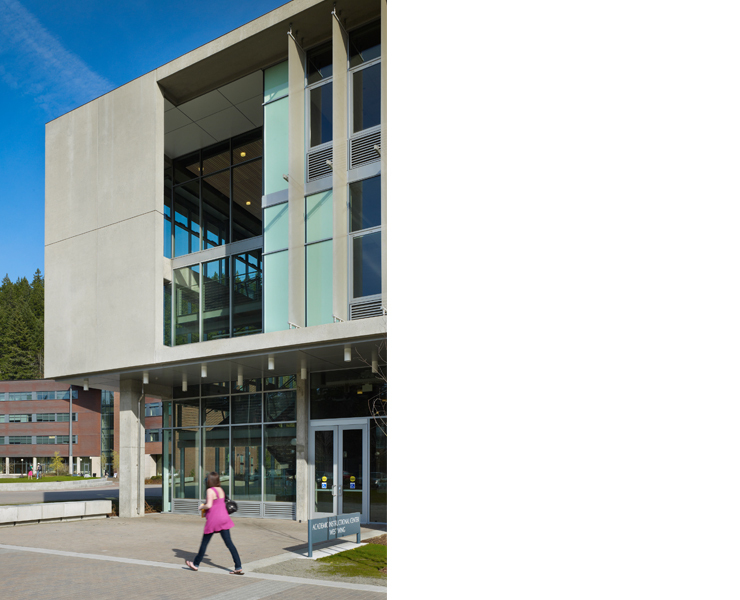 Conceived as a space-maker, the AIC weaves together the adjoining campus fabric with the new South Quad, pedestrian pathways and arrival plazas. 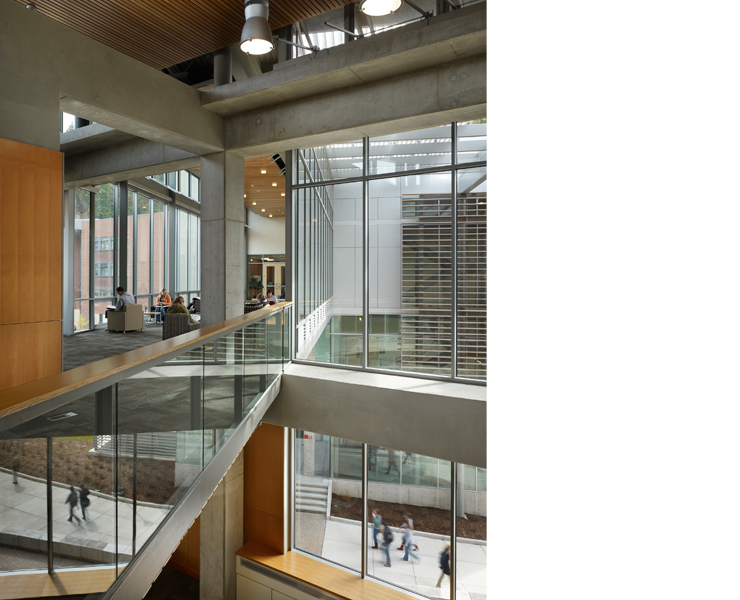 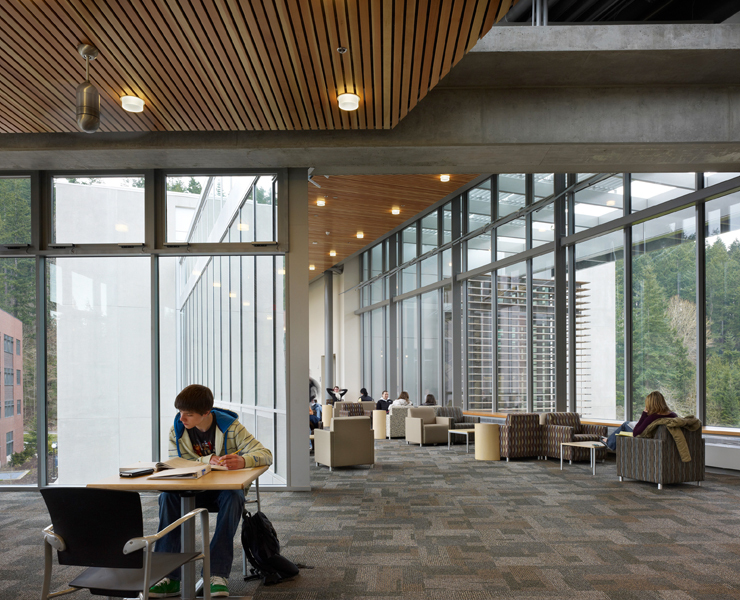 A dramatic, glass-enclosed, collaborative learning bridge connects the two wings, serving as an extension of the two story learning commons. 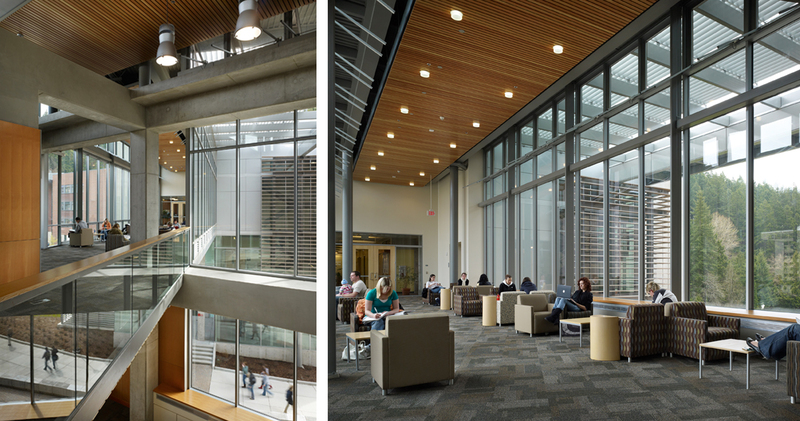 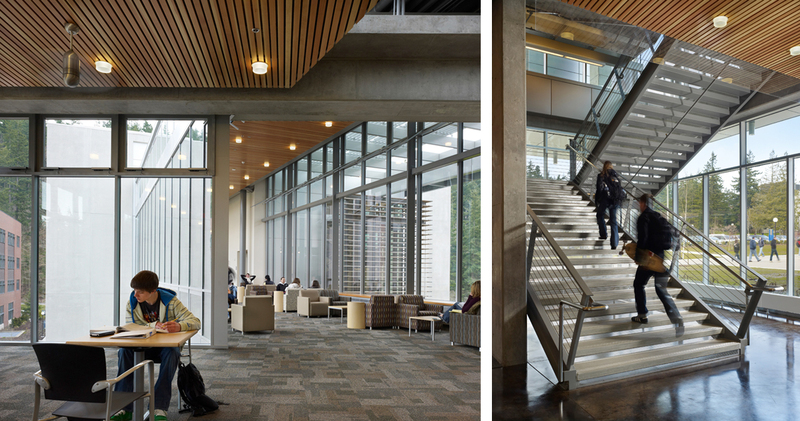 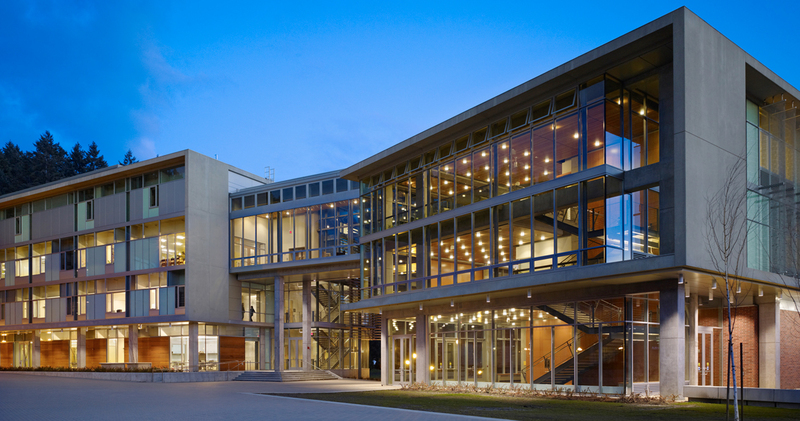 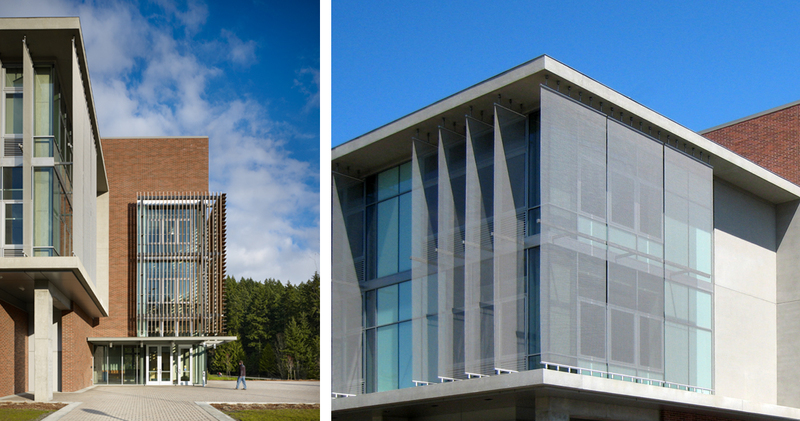 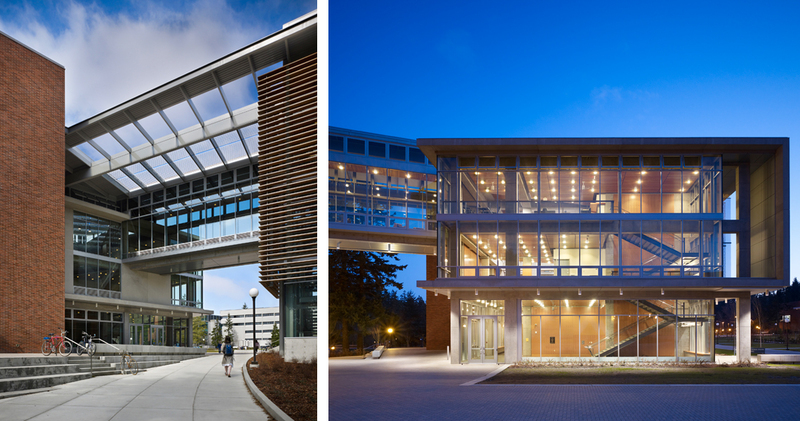 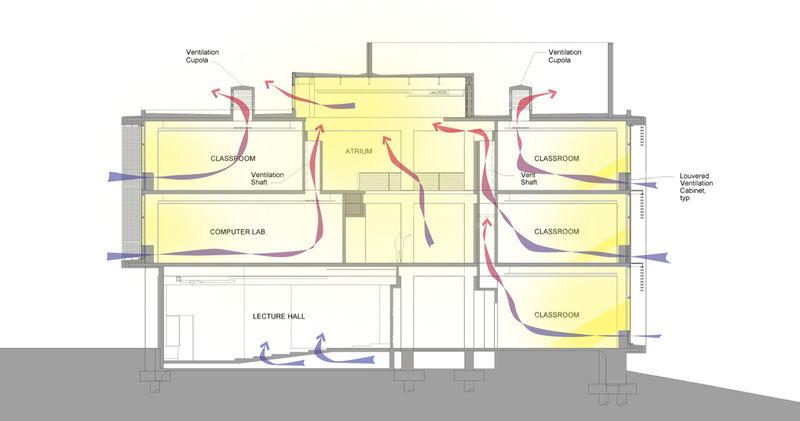 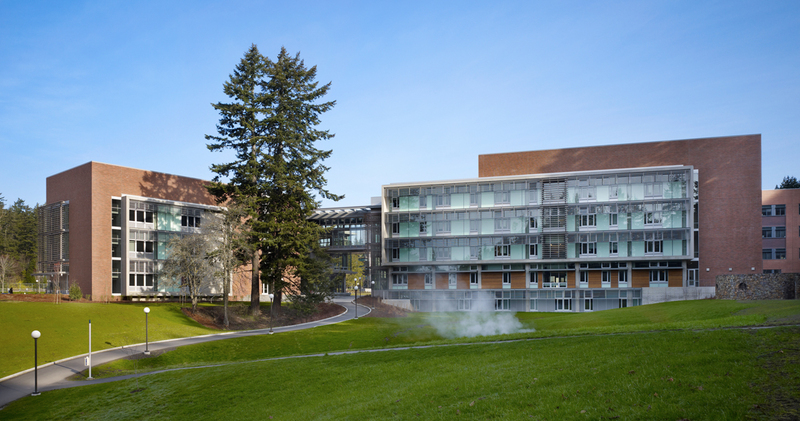 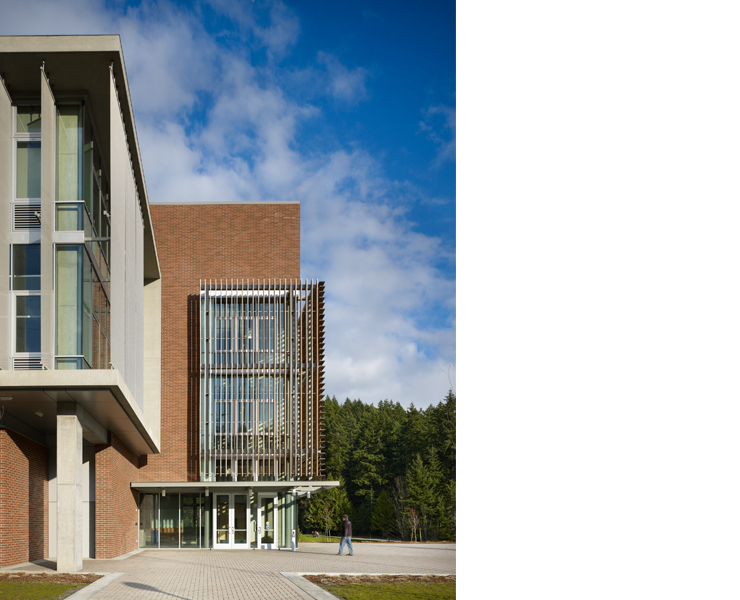 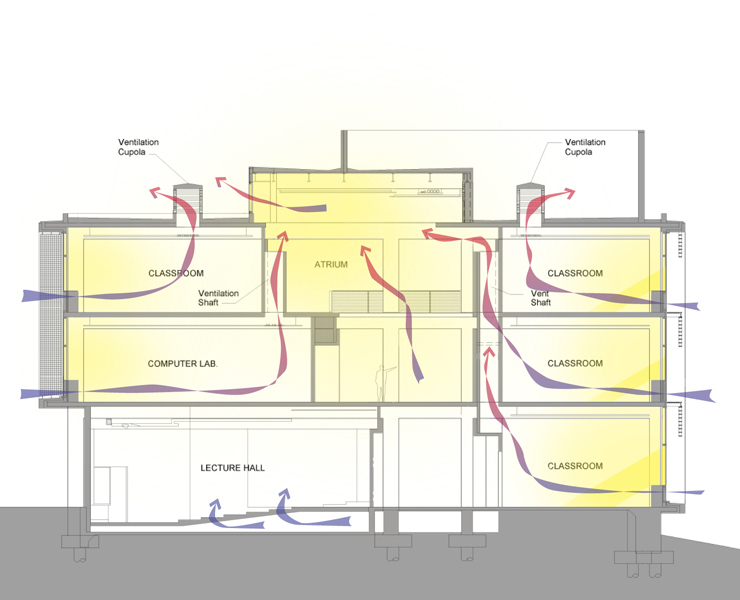 The LEED certified AIC is one of the largest naturally ventilated academic buildings in the country and is a national model for passive, green design strategies. 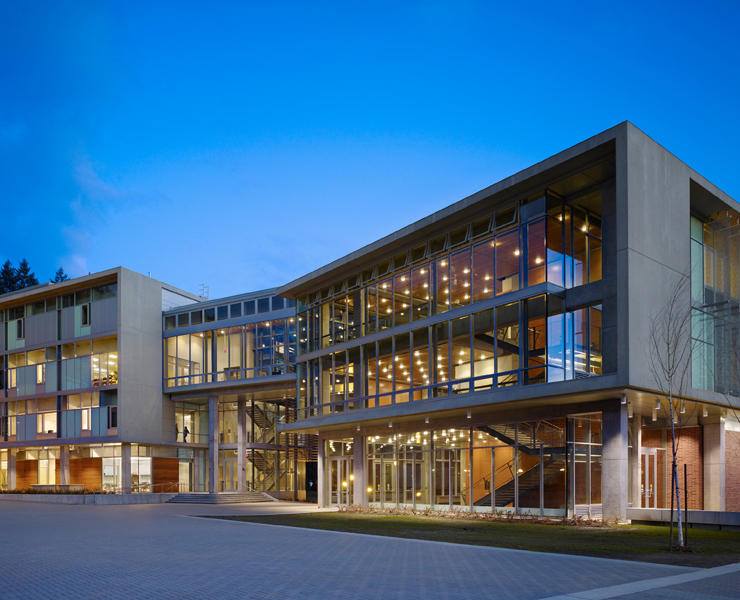 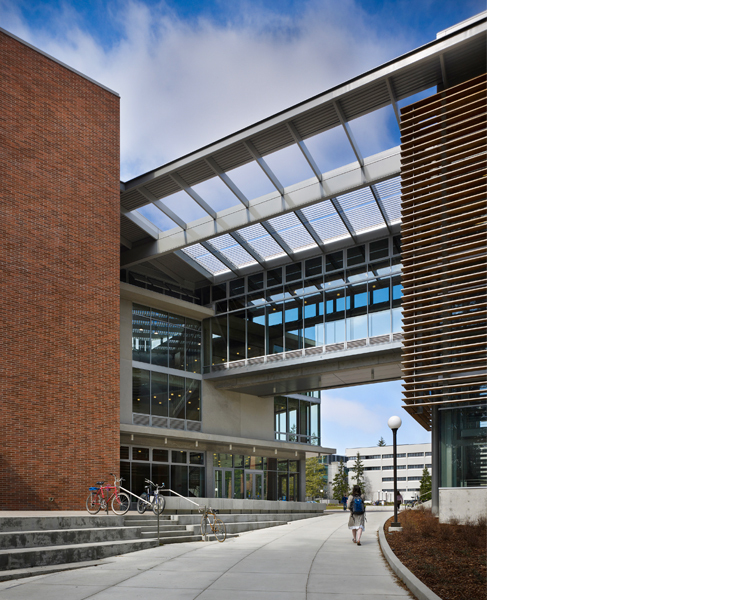 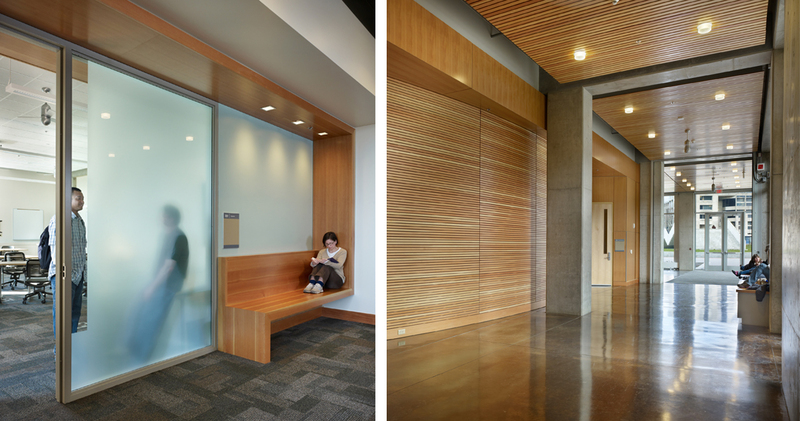 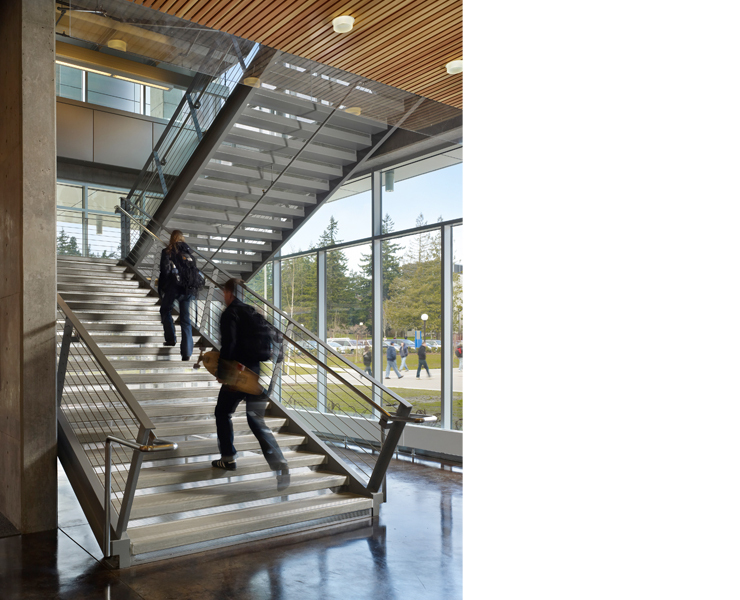 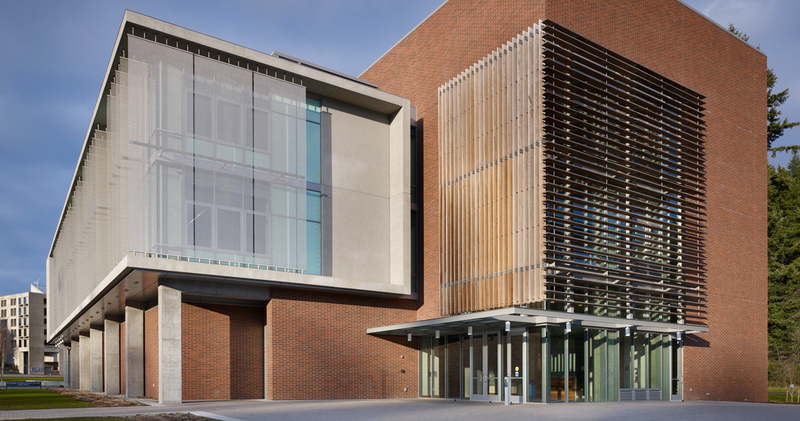 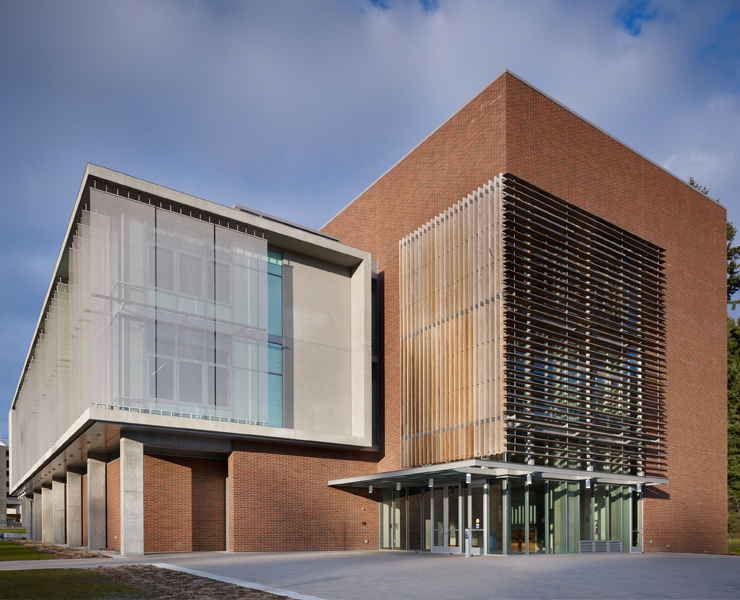 The AIC has won a national award for sustainable design systems, been presented at several AASHE conferences and featured in Greenbuild publications. 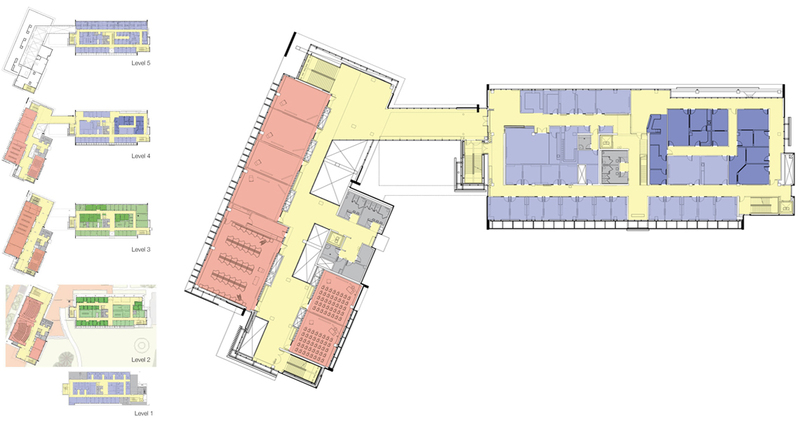 Opsis provided the Predesign report for this project and was subsequently selected as the design architect, with NAC|Architecture as the executive architect.